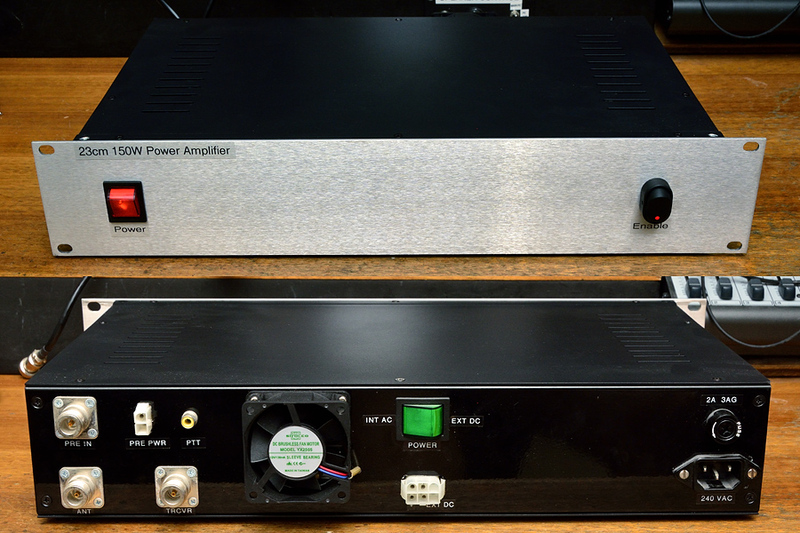 Based on the highly regarded PE1RKI power amplifier module, this is a fully assembled and tested – ready to use – 150 watt 1296 MHz power amplifier being offered for sale. Ideal with Icom IC-910 10W class transceiver. 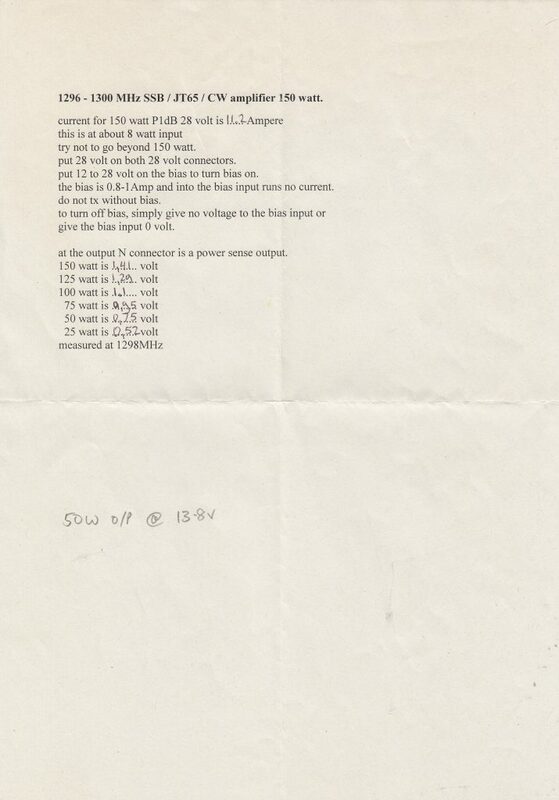 For safety, 240 volt mains wiring is heatshrinked. 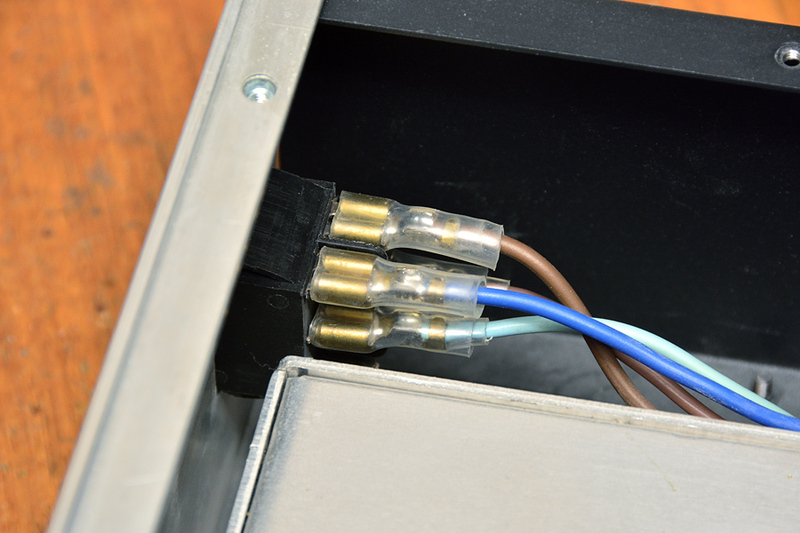 1/4″ copper heat spreader and heatsink provides sufficient cooling alone for low duty cycle use, such as conversational SSB. 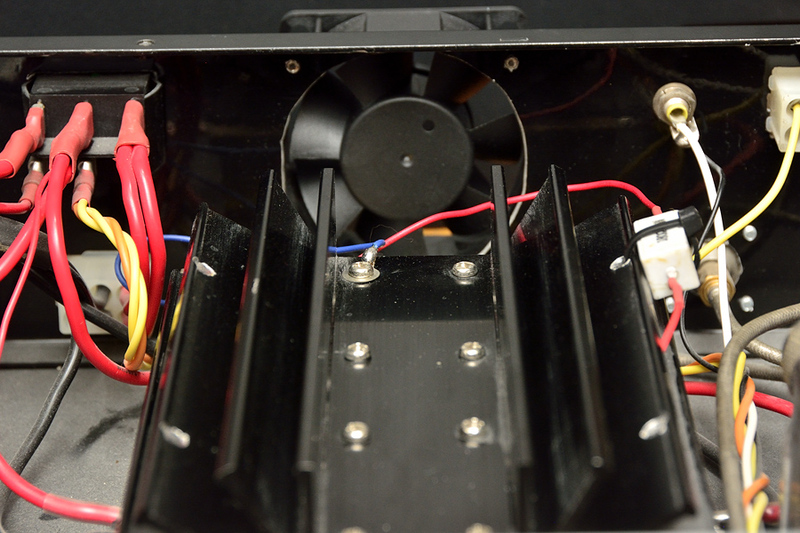 The inclusion of a 12V muffin fan ensures the power amplifier module will run cool with higher duty cycle modes. A fan thermostat switch could always be added. 12 V rocker change-over switch has been added, for use when there is no mains power available. A 12-28V DC-DC converter is required to complete this functionality, so that the two 28V relays can be switched. Amplifier provides approx 50W out powered by external 13.8V supply. 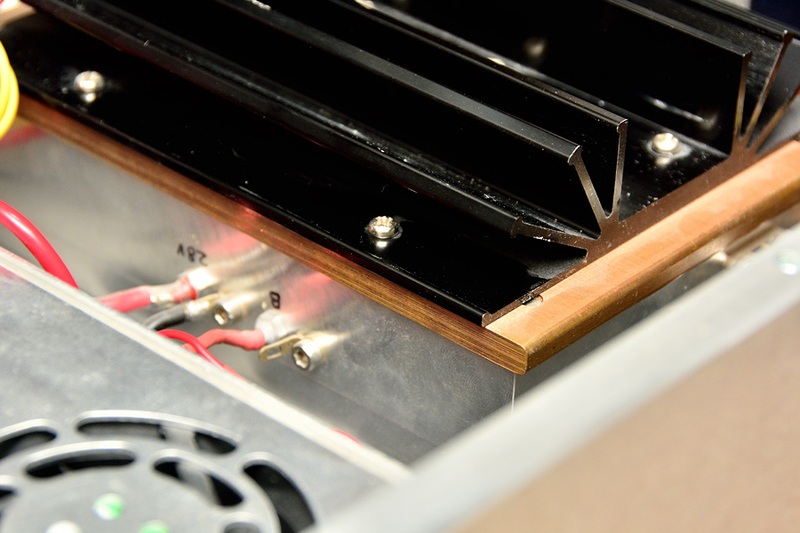 A shift in priorities and being QRT since 2014 has meant this power amplifier has had almost zero use. ie: It has not been flogged at all, and should be considered as being brand new. 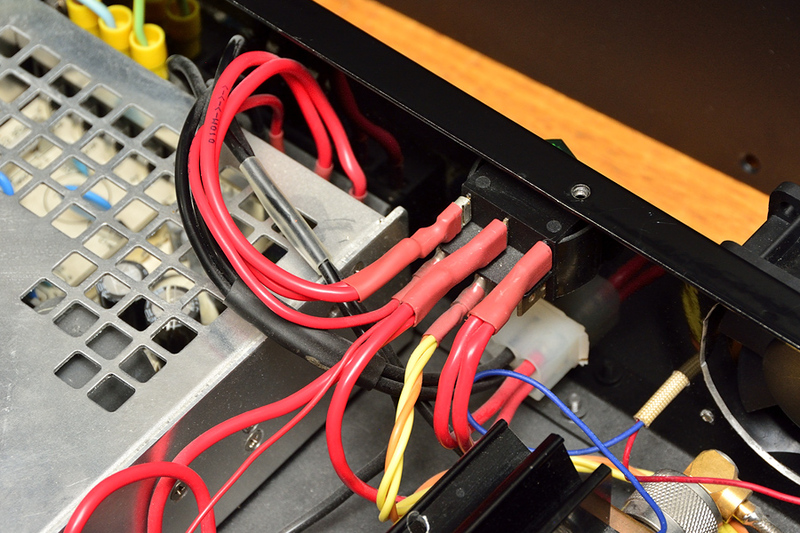 For longevity and increased reliability, the PSU is deliberately set to 27 volts, not 28 volts. 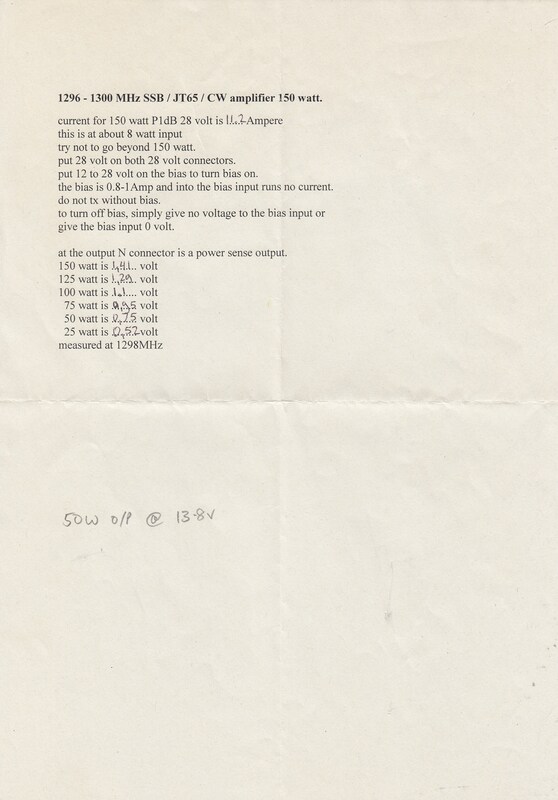 This results in ~ 130 W output when driven by an IC-910. 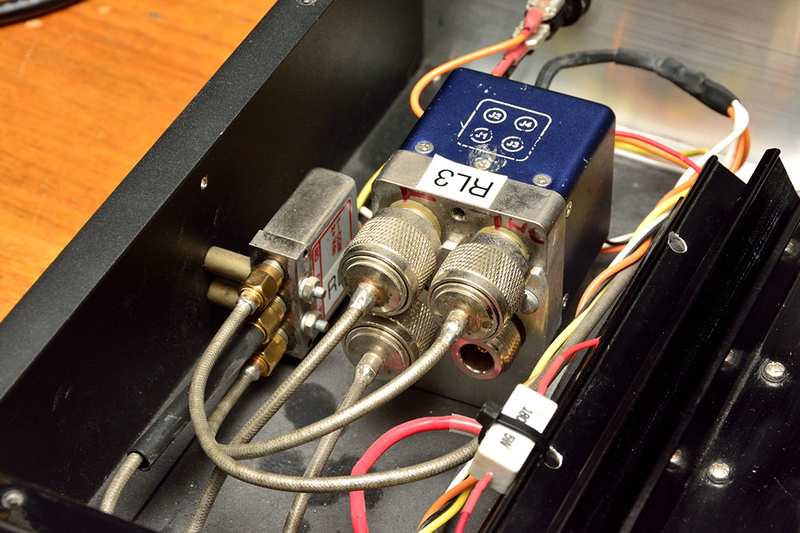 You can always turn up the PSU (trimpot setting) to 28V, however. Item location: Brisbane SW suburbs. Can be shipped to you at your expense.